Minneapolis, February 19, 2013 –Polaris comes into the 2013 off-road race season with teams competing in the Grand National Cross Country series (GNCC), World Off-Road Championship series (WORCS), Best in the Desert (BITD), SCORE International and Mud racing. Polaris also will continue to offer their ATV racing contingency program and has expanded its Side-by-Side contingency, which was only available for BITD in 2012, to include the SCORE series. Polaris will continue to support National Guard/Polaris/Coastal racing for 2013. William Yokley took the GNCC championship in his National Guard RANGER RZR XP 900 and will look to five-peat in the GNCC series this year. Yokley’s teammate, Scott Kiger finished second in the GNCC Open Modified class in his RZR XP 900 and is back for 2013. Polaris has provided support to the Muscle Milk/Blingstar team for 2013, and the team has signed Adam McGill to race a RZR XP 900 in the Open Modified class. The Muscle Milk/Blingstar team also will run the WORCS with RZR XP 900s. After a successful 2012 season including winning the UTV Championship, Polaris has signed Holz/Coastal Racing to run BITD for 2013. The Holz Coastal Racing RZR XP 900 will be piloted by Kiger and Mark Holz. Jagged X is back for 2013 for a run at the BITD championship, racing the familiar No.1919 RZR XP 4 900, in the Pro Class. Brandon Schueler and Blake Van de Loo look to recapture the championship for 2013. Polaris General Manager of RZR Off-Road Vehicles Craig Scanlon also will run the Pro Class with co-pilot Bill Schueler in the No. 1931 RZR XP 4 900 to give the No. 1919 a run for its money. Jagged X will be making their Mexican Debut in 2013 with Matt Parks and Jason Spiess competing in the three-race SCORE Baja series in their BITD 1932 RZR XP 4 900. SCORE has agreed to allow a new and long-awaited PRO UTV class and Jagged X is looking to take the inaugural year. WORCS top three in the 2012 SxS Production 1000 class will run for Polaris in 2013 in the PRO Production class. Ryan Piplic, who won the championship and Beau Baron, who finished third are newly-signed to the Polaris Factory Race Team. Returning to the team is the 2012 second place finisher, RJ Anderson, who will be on the hunt for the WORCS championship for 2013. All three racers will run RZR XP 900 units. Muscle Milk/Blingstar Racing has also received support from Polaris for the 2013 season. The three-man WORCS team consists of Blingstar owner Clint Roberts, long-time racer Nick Nelson and H-Bomb Films CEO Wes Miller. All will race RZR XP 900s. Cody Rahders wowed the Production 700 class with his RZR 570 taking the championship the first year out. Rahders will return, racing for Polaris, in the RZR 570 in the Production 700 class. 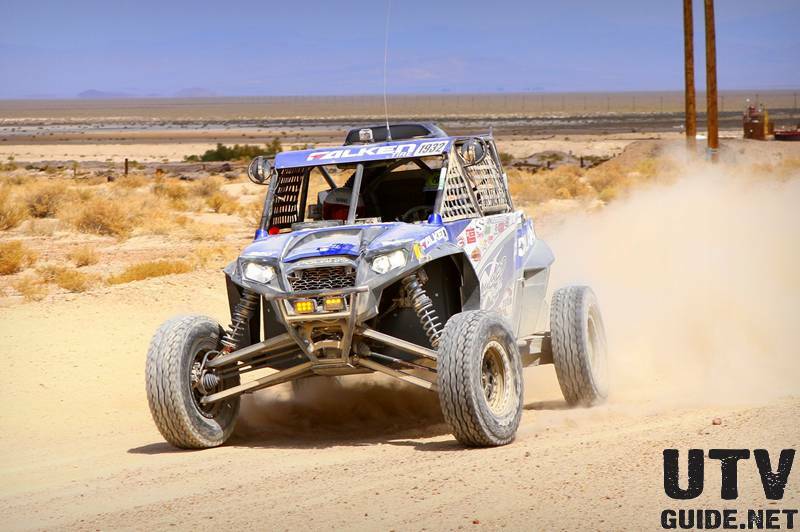 Three-time King of the Hammers Winner Mitch Guthrie is back for 2013 to defend his hammer, in his new RZR XP 900. Polaris also will have Jon Crowley racing a RZR XP 900. Crowley raced a near-stock unit last year to a fourth place finish. Guthrie and Crowley finished one, two for 2013. Team High Lifter-Polaris Racing will be muddin’ on Polaris’ once again for 2012. Racers include Brian Haughton, Josh Monroe and Adam Schumaker and will race the Sportsman XP 850, Sportsman 550, RANGER XPs and RANGER RZRs. Polaris also will continue to offer an ATV race contingency program, in two ATV racing series, GNCC and WORCS and a side-by-side contingency in the Best in the Desert and the newly-added SCORE International. The total purse is more than $47,000. Racers must race 2009 or newer Sportsman XP 850, Sportsman 550 or Scrambler XP 850 H.O. 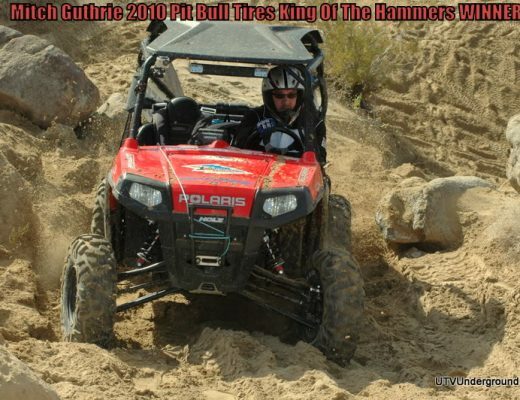 ATVs for the ATV contingency and must run the Pro Class in a RZR product in Best in the Desert or SCORE International. More information and complete rules about Polaris’ racing contingencies can be found at www.polarisfactoryracing.com. About Polaris Polaris is a recognized leader in the powersports industry with annual 2012 sales of $3.2 billion. Polaris designs, engineers, manufactures and markets innovative, high quality off-road vehicles, including all-terrain vehicles (ATVs) and the Polaris RANGER® and RZR® side-by-side vehicles, snowmobiles, motorcycles and on-road electric/hybrid powered vehicles. Polaris is among the global sales leaders for both snowmobiles and off-road vehicles and has established a presence in the heavyweight cruiser and touring motorcycle market with the Victory and Indian motorcycle brands. Additionally, Polaris continues to invest in the global on-road small electric/hybrid powered vehicle industry with Global Electric Motorcars (GEM), Goupil Industrie SA, and internally developed vehicles. Polaris enhances the riding experience with a complete line of Polaris and KLIM branded apparel and Polaris accessories and parts. Polaris Industries Inc. trades on the New York Stock Exchange under the symbol “PII”, and the Company is included in the S&P Mid-Cap 400 stock price index. Information about the complete line of Polaris products, apparel and vehicle accessories are available from authorized Polaris dealers or anytime at www.polaris.com.